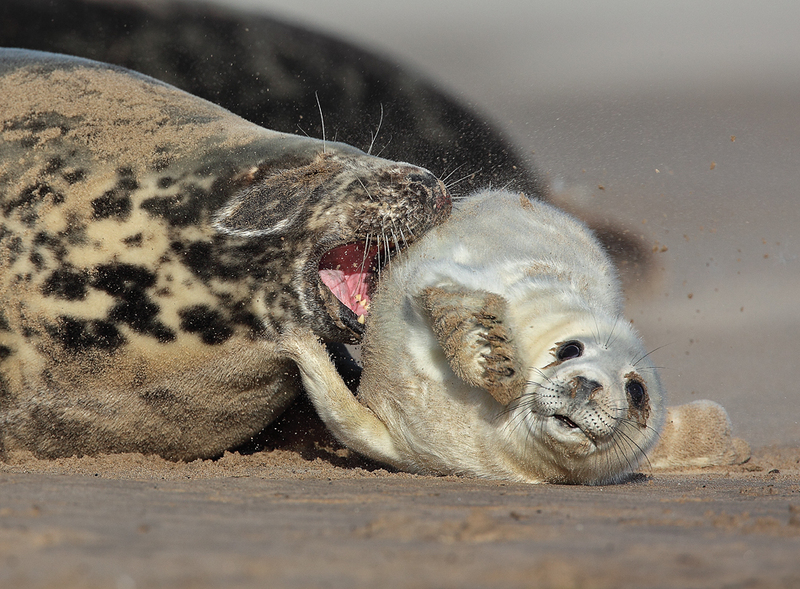 'SEAL ATTACK' - An abandoned grey seal pup seeks out its mother only to be attacked by another adult seal. The seal pup was unharmed in this attack, but this wasn't the end for him, in-fact it wasn't even the beginning of the end. This pup had starvation and a short life of solitude to look forward too. Nature at its most cruel.